The 2019 Victoria Well Drilling Cost is available online, if you're preparing to drill a well in Victoria or another area on Southern Vancouver Island Victoria Well Drilling quickly provides estimates. Victoria area property owners have full access to the current 2018 Vancouver Island well drilling costs without the need for a high-pressure sales visit on your property. Request a DETAILED estimate for the cost to drill a well in Victoria and the surrounding communities. For the local Victoria Well Drilling costs please provide that you have available when sending your request for the cost to drill a well in the Victoria area. Your information will help us prepare a detailed estimate for the cost to drill a well on Southern Vancouver Island. To request a well drilling estimate, please submit your information, we do respond quickly. Your information is private and helps up provide a detailed well drilling price for the Victoria Well Drilling Cost. 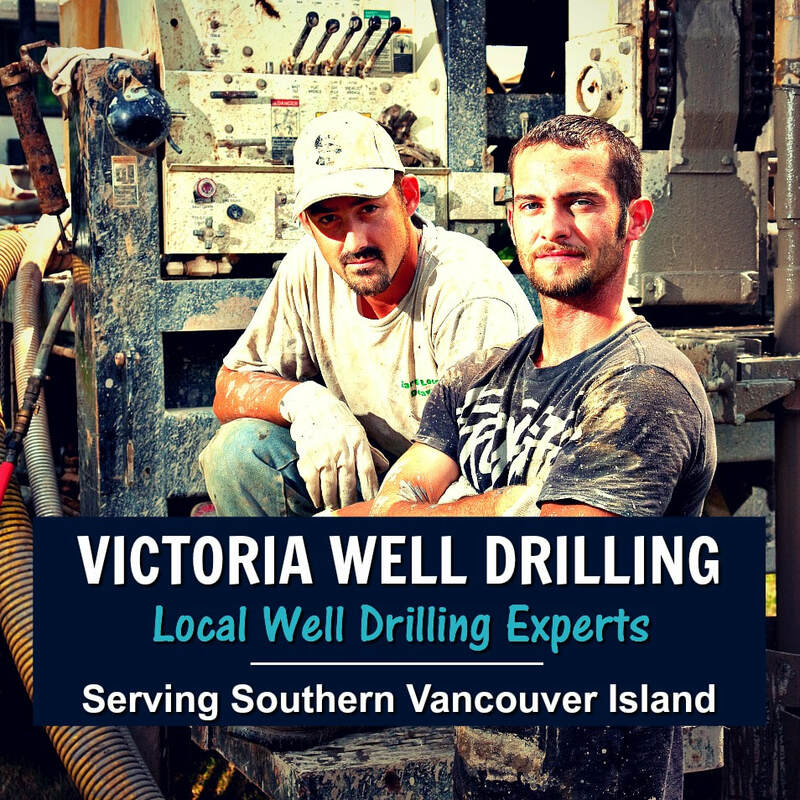 Victoria Well Drilling provides premium water well drilling and well site selection throughout Southern Vancouver Island. Victoria Well Drilling service area includes Victoria, Colwood, Esquimalt, Fairfield, Gonzales, Fernwood, Highlands, James Bay, Langford, North Saanich, Oak Bay, Saanich Peninsula, Saanichton, Metchosin, Sidney, Sooke, View Royal, West Shore, Salt Spring Island, Gabriola Island, Mayne Island, Pender Islands & Quadra Island. Southern Vancouver Island's #1 choice for water well drilling, well pumps, well pump installations and well repair services. Get quick access to the Well Drilling Cost in Victoria and the surrounding area. Victoria Well Drilling focuses on the local needs of property owners, we provide premium water well service, with well drilled and completed to our specific water well construction standards. Water wells on Southern Vancouver Island play a huge part in everyday life for thousands of families and businesses, including agriculture, hobby-farms, domestic water wells, and other applications that depend on the island's aquifers and groundwater resources to sustain water requirements. Victoria well drillers lean on their vast-scope of local water well knowledge and experienced while drilling for water in many of the sub-surface along with a diverse range of geological-environments to develop the best groundwater resources on Southern Vancouver Island. Call Victoria Well Drilling @ 778-655-8529 or request the current Victoria well drilling costs online, we respond quickly to all online requests for water well service or well drilling estimates. Victoria Well Pump installs a complete-range of water pump systems from submersible pumps for domestic water wells in Victoria to jet pumps, booster pumps, variable speed pumps, centrifugal pumps, golf course pumping systems, turbines booster and even solar pumps. We take pride in laying-out exceptional water well pumping systems that suit all water pumping needs in Victoria and Southern Vancouver Island. Victoria well drillers specialize in domestic well drilling to the large diameter production or irrigation water well projects often required through-out the island. The estimated well drilling cost in the Victoria area is determined by location, geography, method-of-drilling and required water wells construction materials. Southern Vancouver Island well drilling experience is very important for the successful completion of drilled wells throughout the region. Skilled water well development is crucial for long-lasting water wells as well as managing the Victoria well drilling costs. We avoid drilling excessively deep whenever possible often eliminating water well problems such as saltwater intrusion that may occur in many areas of Southern Vancouver Island. Deep-hole drilling obviously increases the overall well drilling cost throughout Victoria and the neighboring communities but the risk of saltwater intrusion generally increases too. Victoria Well Drilling offers emergency water well services to Victoria, Colwood, Esquimalt, Fairfield, Gonzales, Fernwood, Highlands, James Bay, Langford, North Saanich, Oak Bay, Saanich Peninsula, Saanichton, Metchosin, Sidney, Sooke, View Royal, West Shore, Galiano Island, Salt Spring Island, Gabriola Island, Mayne Island, Pender Islands & Quadra Island. Well Drilling Victoria provides water well services year-round to the area. We drill right through the winter months please contact us for information about our winter water well drilling prices. We are sensible about the cost of drilling a well in Victoria and attentive to the fact that it can be a significant expense. The Victoria well drillers give their best effort to locate the most productive fresh-water resource. Drilling a dry well is a warranted fear for many property owners on Vancouver Island, we make every effort to avoid this costly often unnecessary well drilling failure. We seldom implement the process of hydro-fracturing water wells in the area, while hydro-fracturing does create additional profits for well drilling companies we believe that the hydro-fracturing of water wells can mostly be avoided by focusing on often over-looked site selection prior to drilling along with correct drilling practices. We choose integrity over profits, we much rather have the islanders invest in quality water well drilling rather than costly add-ons such as hydro-fracturing when well drilling in Victoria and through-out Southern Vancouver Island. We focus on keeping the cost to drill a well in Victoria as affordable as possible without cutting the quality of water well materials, reducing the possibility of drilling a dry hole and the costly but common use of fracking water wells on Vancouver Island. Remember. you're already paying the cost to drill by the foot, all others add-on can greatly increase the cost of drilling a well. Request the well drilling costs for Victoria online or call us today for a well drilling quote. Victoria property owners appreciate quality water systems, they cannot be understated, water wells are vital for local properties to thrive. We strive to construct drilled water wells that stand the test-of-time by providing quality from the beginning of our well drilling project. Property values can be affected by the lack-of-a-viable water supply or an existing sub-standard dug well on Vancouver Island and, for good reason if you've ever needed to haul water to maintain the water requirements of a property during the hot summer months as many island property owners do. We're transparent with our well drilling costs in Victoria, we avoid well drilling practices that may not be in the best interest of an island property owner, our goal is to provide fantastic service along with great results. Victoria Geotechnical Services, Geo-technical Investigation, Sonic Drilling Geotech Services in Victoria. We are fully equipped to rapidly drill and sample challenging formations and provide the most cost-effective solution for environmental investigations. Victoria Geotechnical with teams that are adaptable to any Geotechnical project on Southern Vancouver Island along with one of the most comprehensive inventories of sonic drilling, core sampling and insitu testing equipment in the Geotechnical industry. With the ability to quickly deploy a wide-range of drilling systems from man portable drills, to large machines such as our extensive variety of Sonic Drills in Victoria or Dual Rotary Barber drills. Victoria Geotechnical Drilling services completes local drilling projects including exploratory wells, geotechnical holes and instrumentation holes with depths that have exceeded 100 meters. We provide drilling services on Southern Vancouver Island from Water Well Drilling in Victoria to a broad-range of Geotechnical services. Geotechnical investigation services include, but are not limited to, mineral exploration, water wells, anchoring, grouting, environmental drilling and wells, and explosive compaction. With extensive experience in geotechnical drilling, core sampling and in-situ soil testing with off-shore marine drilling experience in the geotechnical field that is unparalleled in Canada! For Geotechical Services in Victoria on Southern Vancouver Island we're available to serve your needs! 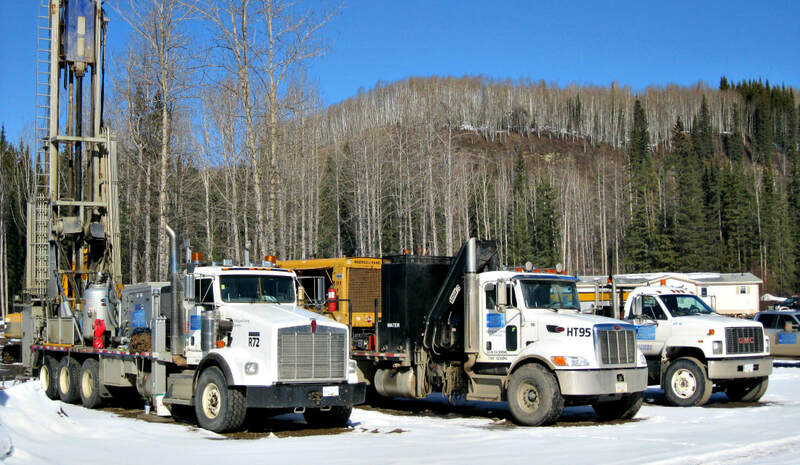 Victoria Well Drilling - we're equipped to handle all well drilling projects regardless of project size or requirements. We're the Southern Vancouver Island experts in domestic well drilling, Geo-technical services, commercial water-system projects, and large diameter production wells for the agriculture sector through-out Vancouver island. Fully prepared to drill for water in any of the Island's formations with the ability to set-up for drilling throughout remote areas of the Vancouver Island or other remote gulf island locations where traditional drilling rigs and other equipment cannot gain access. We have the ability to utilize our Heli-portable HT-500, HT-700 and our HT air-compressors, we are always prepared to perform at any level required. No problem with our ability to handle very large drilling projects either, we have DR-24 Barber drills with the ability to drill from 6” to 22” diameter and to depths that have exceeded 1,000 feet. We appreciate our Southern Vancouver Island clients and proudly provide premium water wells through-out the area including most of the southern Gulf Island. Our ability to provide water well services would not be possible without our teams of exceptional water well experts and water-system professionals who truly care and focused on excellence. Many property owners have learned through experience that a quality, producing water system is priceless! 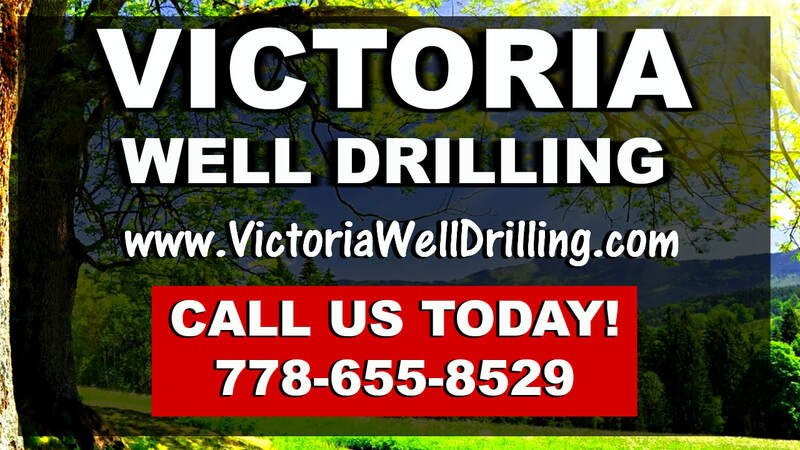 Call Victoria Well Drilling or request a FREE online estimate for the cost to drill a well in Sooke to Victoria including the surrounding communities. Victoria area property owners prefer our full-service water system programs, we're experts at managing well drilling projects from beginning-to-end including well pump installations or the construction of complete water systems from scratch, regardless of size! Our Victoria water well services eliminates the stressful and costly well drilling problems often experienced by using multiple contractors who often are not in communication with each other or willing to work together for the sole-benefit of a property owner. Victoria Well Pump maintains affordable water well services, call us to learn more about our affordable and convenient with our one-stop-shop! Victoria Well Pump services Southern Vancouver Island and all other areas including Victoria, Colwood, Esquimalt, Fairfield, Gonzales, Fernwood, Highlands, James Bay, Langford, North Saanich, Oak Bay, Saanich Peninsula, Saanichton, Metchosin, Sidney, Sooke, View Royal, West Shore, Salt Spring Island, Gabriola Island, Mayne Island, Pender Islands, Quadra Island & Galiano Island. Generally an aging well pump system will offer some indication that the pump could be nearing the end of it's life, suggesting it might be the right time to replace an existing well pump. Don't wait for a costly well pump repair or emergency in the Victoria area - they are not only costly but often untimely! Need a new Water Well Pump in Victoria? Is your current well pump system aged... is it time to replace it? It's wise to consider a water well pump replacement during the winter months or early spring, often people think these project should wait till summer. Our mild island weather is great for the Victoria well pump experts to work year round. Once the summer months heat-up on Southern Vancouver Island there's a massive demand for well drilling and well pump services in Victoria including well pump repairs and well pump installations. The summer months can involve increased costs and frustrating wait times depending on the demand for water well services in Victoria. Representing only reputable well pumps and equipment including Franklin Electric and Grundfos Pumps and motors including a many other brands to meet all well pump demands and budgets. We are experts at well pump selection, sizing along with custom design and building of complete water systems to meet any requirement. Victoria Well Pump installers are fully-certified and qualified to service local well pump projects. Our Local Well Pump Experts have stocked service vehicles along with certified well pump professionals, maintaining a complete inventory of well pumps and water system components to handle well pump installations and well pump repairs in Victoria and the surrounding communities. Victoria Well Pump pros take pride in arriving on site prepared to handle sudden well pump problems. Victoria well pump is seldom called to a site only to leave leaving a property owner to wait for them to locate the appropriate parts to complete a well pump project. Constant pressure systems installations as well as traditional well pump systems that require full-sized pressure tanks are both available. Where neatness counts you can count on our Victoria Well Pump Services! The refined well pump installation process minimizes untidy messes during both the well drilling and well pump connection. With a reputation for quality Victoria Well Pump primarily specializes in new water well pumps installation after drilling through-out Southern Vancouver Island. However, there are other reputable professionals who special in well pump repair in Victoria, we're happy to email or text a list of the recommended pump installers in your area. Commercial water pump installations in Victoria or the surrounding are will generally require a considerable amount of data collection with a very clear understanding of the operation and characteristics of a commercial application to correctly design and select the best water pump system or well pump to handle a large job efficiently. Each pumping system is unique and usually requires a broad-range of flow and water pressure objectives that requiring assessing well in advance of the pump equipment selection phase. We don't completely rely on our own water system advice, we implement various water pump selection software that correctly summarizes and details important well performance characteristics. When it comes to well pumps and commercial applications on Southern Vancouver Island we're knowledgeable and experienced with variable speed drives and are skilled at choosing water pumping equipment that's not only efficient but exceptionally durable for your water pumping needs. Golf Course well pumps for Victoria Golf Courses or reservoir water pump systems normally operate quite differently than the average well pump and water pumping system. Some golf course well pumps may operate for months without shutting down through-out the high-demand season for irrigation. 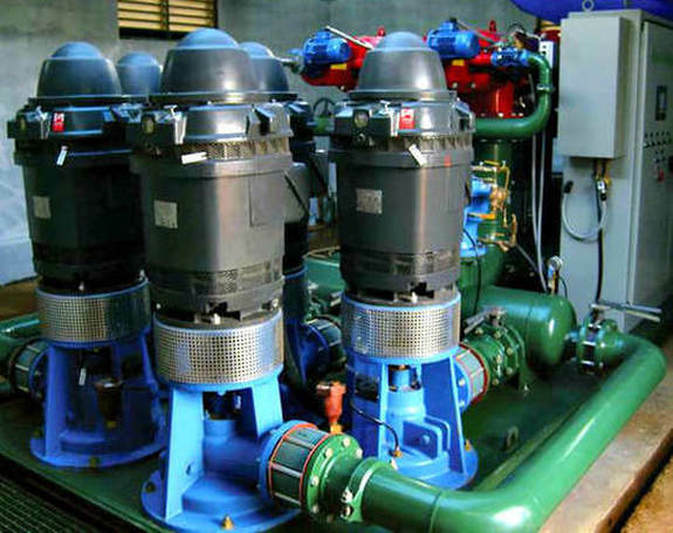 Obviously, these relentless water pumping conditions require golf course well pump equipment to operate problem-free meaning all water pumps and other equipment must be selected and installed professionally with good equipment and installation warranties. Selecting correct water pump and pump motor combinations will generally offer substantial long-term use for Golf Courses on Southern Vancouver Island along with reducing operating costs. Generally, a golf course irrigation manager is not trained of certified to install well pumps or water pump systems. We have experts available to consult and advise irrigation managers of golf courses and other technicians. We service local golf courses water systems including other large irrigation projects through-out the Victoria area. Victoria Well Pump specializes in designing all types water systems including submersible pumps, booster pumps, jet pumps, irrigation pumps, sump pumps, sewage pumps, pressure tanks, pressure switch replacement. We can quickly sort our low-water-pressure problems, holding tanks, water reservoirs, water well filtration systems, water line repairs and water wells that have run dry. We service water well problems quickly through-out Victoria and the surrounding communities, we provide great service to our Southern Vancouver Island clients. For a well pump cost in Victoria give us a call today or request a FREE online Well Pump estimate. Victoria Well Pump service area includes Colwood, Esquimalt, Fairfield, Gonzales, Fernwood, Highlands, James Bay, Langford, North Saanich, Oak Bay, Saanich Peninsula, Saanichton, Metchosin, Sidney, Sooke, View Royal, West Shore, Galiano Island, Salt Spring Island, Gabriola Island, Mayne Island, Pender Islands & Quadra Island. With any water well drilling method on Vancouver Island, the permeability of the formation around the borehole is reduced. 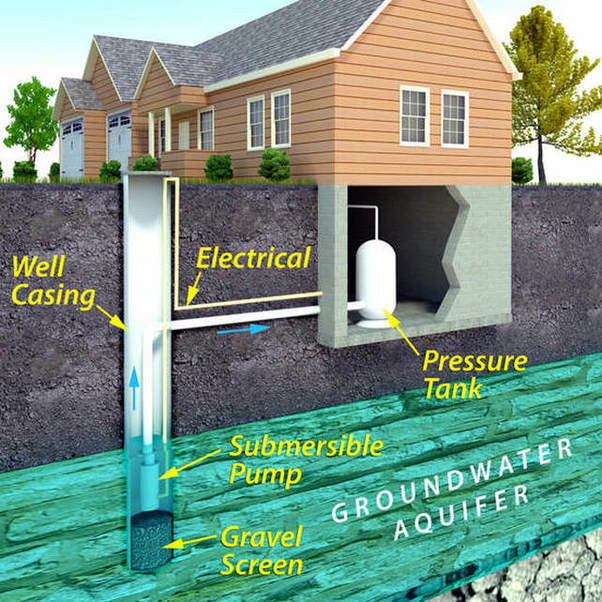 Water well development is demanding and critical for quality water well completion to maximize the efficiency of a water well by rehabilitating the aquifer after the disruption of the well drilling and installation process. Victoria Well Drilling understands the importance of water well-screen design, careful selection of a well screen is, without doubt, the most important consideration when constructing an efficient water well. A properly selected well-screen is designed to serve two basic purposes: to allow the un-obstructed entry of clean water free from sediment into the well, and to permit a maximum flow to the formation for water well development procedures. 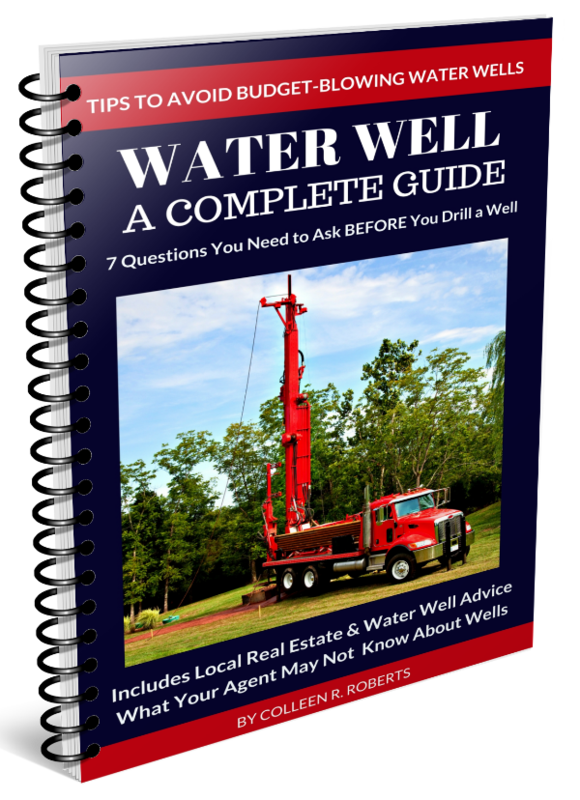 Any water well questions, please contact us or request an online well drilling quote from our site. We respond to phone calls quickly, we're here to serve the businesses and families of Southern Vancouver Island. BC Ministry of Environment WELLS Database for Victoria, Colwood, Esquimalt, Fairfield, Gonzales, Fernwood, Highlands, James Bay, Langford, North Saanich, Oak Bay, Saanich Peninsula, Saanichton, Metchosin, Sidney, Sooke, View Royal, West Shore, Salt Spring Island, Gabriola Island, Galiano Island, Mayne Island, Pender Islands & Quadra Island. The WELLS Database and well drilling regulations for the Victoria communities is regularly updated and managed by the British Columbia Ministry of Environment. The provincial government's iMapBC is an important online portal to a wealth of open government data for Southern Vancouver Island. Along with the British Columbia Water Well Regulations, Resources and the Vancouver Island Well Search Tool, you'll find the provincial land-use requirements, setbacks, Vancouver Island Health & Environmental, BC Water Rights Database and other pertinent water information and regulations with reports to download and other important website links for Victoria and the surrounding communities. Well Drilling Duncan provides BC Well Drilling Regulations for Vancouver Island; Canadian Drinking Water Guidelines is included in the official WELLS Database Vancouver Island Water Resource Library is hosted by Duncan Water Wells Drilling. Not all water wells are drilled deep Southern Vancouver Island, in fact many wells will be far less than 200' deep. If a water well is located near potential sources of contamination it is vulnerable and can become contaminated with the possibly of causing serious illness or even death. British Columbia Water Well Regulations and the Ministry of Environment set-backs for water wells for the Vancouver Island communities are required to protect water resources from becoming contaminated from a multitude of possible sources. To understand comparable water well drilling depths on Vancouver Island, it's best to locate the BC Ministry of Environment set-backs and refer to your local resources including well drilling reports, resources are available at British Columbia Water Well Search and local community bylaw offices. A water well drilled on Southern Vancouver Island or any of the surrounding communities should be located on higher ground when possible to protect the well head from normal or seasonal flooding and possible surface drainage. Both shallow wells and deep-water wells located anywhere on Vancouver Island can become vulnerable and should always be located away from surface drainage-ditches and other possible problems and sources of contamination. Victoria, Colwood, Esquimalt, Fairfield, Gonzales, Fernwood, Highlands, James Bay, Langford, North Saanich, Oak Bay, Saanich Peninsula, Saanichton, Metchosin, Sidney, Sooke, View Royal, West Shore, Salt Spring Island, Galiano Island, Gabriola Island, Mayne Island, Pender Islands & Quadra Island.